Back in January I read Loyalty Binds Me, one of a projected trilogy about a time-travelling Richard III–a surefire disaster or an intriguing proposition, depending on one’s viewpoint. I suppose I was somewhere in the middle because, frankly, I love the idea of time travel and wish I could do it myself, but simultaneously wondered how the author would pull this off. Loyalty Binds Me, second in a projected trilogy concerning Richard III, the medieval monarch of the “Princes in the Tower” tradition, takes on a huge task. 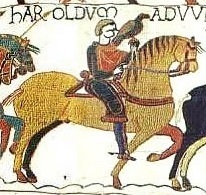 Many readers will be familiar with the last Plantagenet king’s travel to present-day in the first installment, This Time, and speculative fiction fans (and others) will revel in such a journey. However, when Richard finds himself now under arrest for the murders of his nephews–which, mind you, happened some 500 years ago, and there exist contradictions to this charge–he experiences firsthand effects of the success the Tudors, Shakespeare and others have had in blackening his reputation. But how, readers may ask, does the author manage to overcome the label of absurdity; will enough modern lawmen actually believe this is Richard III come to this era, and are willing to risk their careers on such a prosecution? How can this be portrayed? Worry not, readers, for Joan Szechtman not only manages all this heavy lifting, but also does it with the mark of a brilliant writer: by making it look easy. The flow of the book is so smooth, that when I read certain parts I actually gasped at the ups and downs Szechtman took me through with Richard. 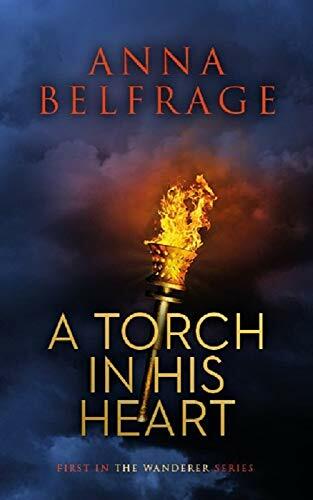 So thrilling are those danger moments, I found myself mentally shaking my fist at the need to sleep; I simply had to keep reading and find out what happens next. One of the ways I can think of that helps the author achieve this is her understanding of today’s society. Unlike most people in Richard’s time, our society has been through so much with technology that even those who scoff at the idea of time travel still often contemplate it with a fair degree of seriousness. Coupled with the viable descriptions and scientific explanations through the book, many doubters will do a double take at the possibilities. Then there’s the government. Oh yes, they want a piece of the pie, and that, paired with the widespread belief that governments already know more than they are telling, clicks it all into place. Ms. Szechtman also brings to bear the unfortunate understanding we all have of post-9/11 policing. When Richard’s tormentors are unable to move in the direction they wish, they play the terrorism card, using that to threaten him with indefinite detention. If that doesn’t strike fear into the hearts of readers today, it at least erases the sometimes smug sureness that we have progressed as much as we think, in terms of governance and liberty, from the days when Richard sought to bestow greater rights on those accused of crimes. It is sadly ironic that this king now falls victim to abuse of power that can cause someone simply to disappear. What grows from this is that where once there was care for a character, now there is great concern for the peril he is in. Through all of this, the author allows us to peek into the lives of Richard’s modern-day family, his new wife and her two daughters he has adopted, as well as his beloved son Edward, whose resilience for the new world he is in is fairly strong–witness his grasp of technology, for example. But Edward, who woke from death to find his mother taken from him, speaks to us of how childhood, despite how overhauls, trends and social structures have changed it over the centuries, remains the same. Children are strong but vulnerable, astoundingly bright though need help navigating through even some of the briefest of situations and, perhaps most heartbreaking, love so strongly and want to please, yet withhold as a form of protection. They show us that we adults are given responsibility that is almost frightening in its ability to impact. Yet with brilliant economy Szechtman portrays all this in those peeks we are allowed, and we witness a family coming to terms with the usual trials all families must go through, as well as those of a father who has been arrested, and the merging of medieval and modern times–a blended family like no other. This is by no means an exhaustive review of everything wonderful in Joan Szechtman’s latest book, but it does point the way to the other two, one as yet unpublished, for this book is not easily put down and forgotten. For those who already care about Richard, it will be a reader’s delight. Others who are new to the king, or willing to re-consider what exactly constitutes “common knowledge,” will find a wealth of historically accurate information as well as recognizable background details in order to do. Moreover, because the second book is written to be enjoyed independently, reading it first will not involve any guessing at the start. 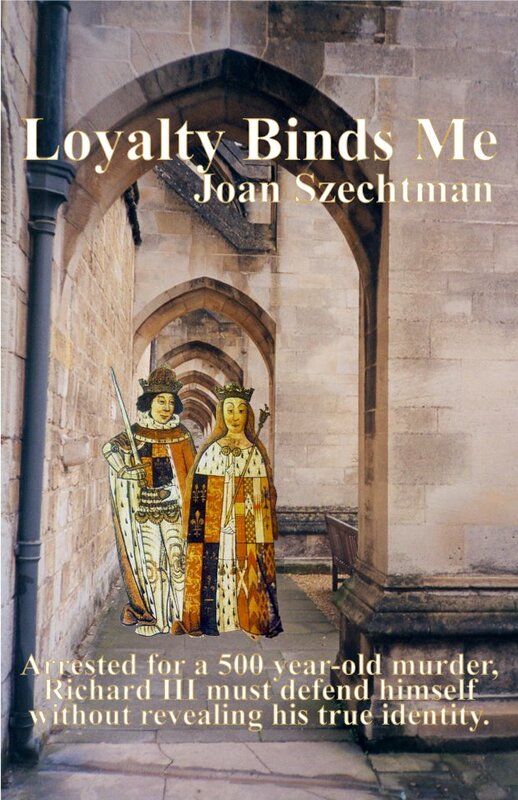 But Joan Szechtman’s Loyalty Binds Me will make you want to go back for more. A copy of Loyalty Binds Me was furnished to the blogger in exchange for an honest review. You know the car that Andretti’d past you in morning traffic and then ended up at the same red light as you…?